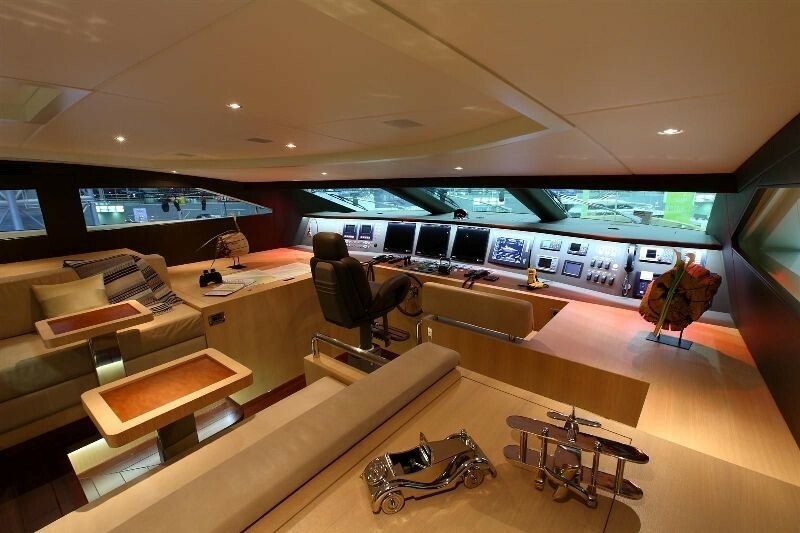 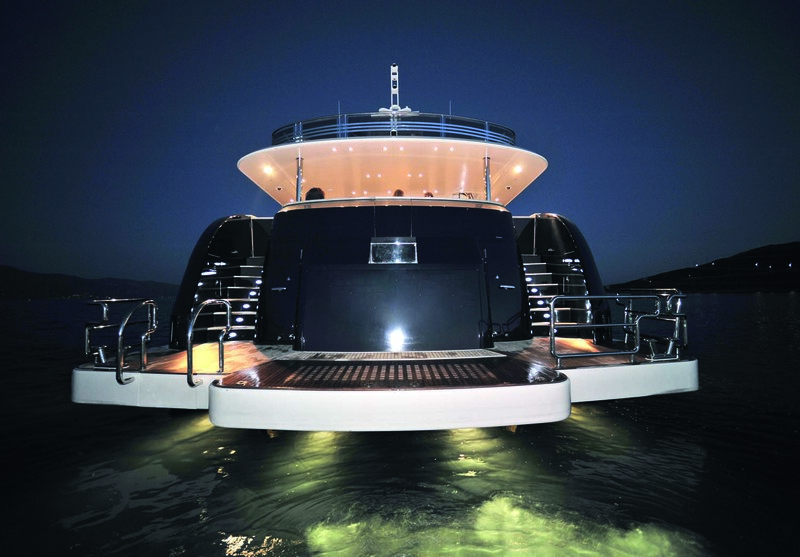 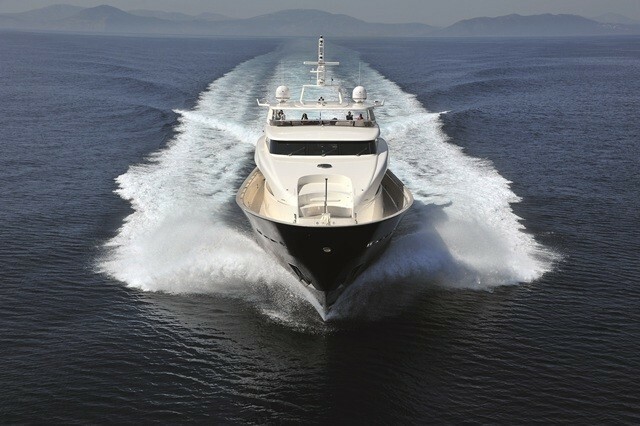 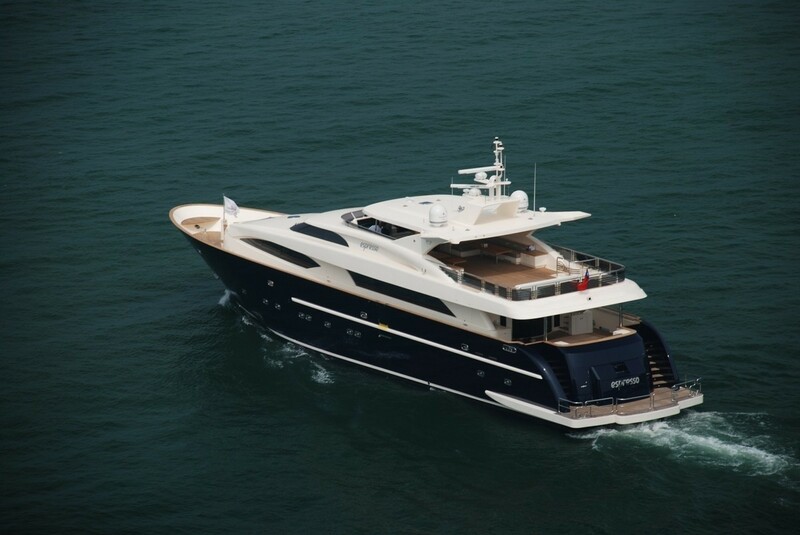 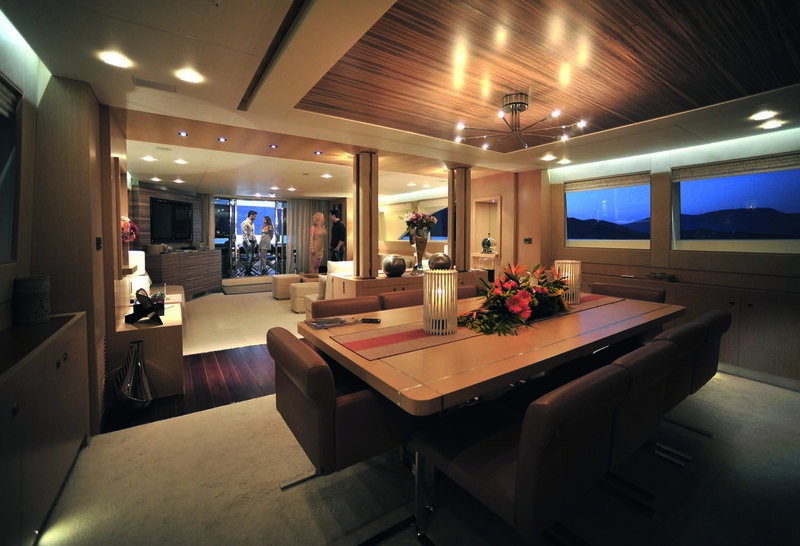 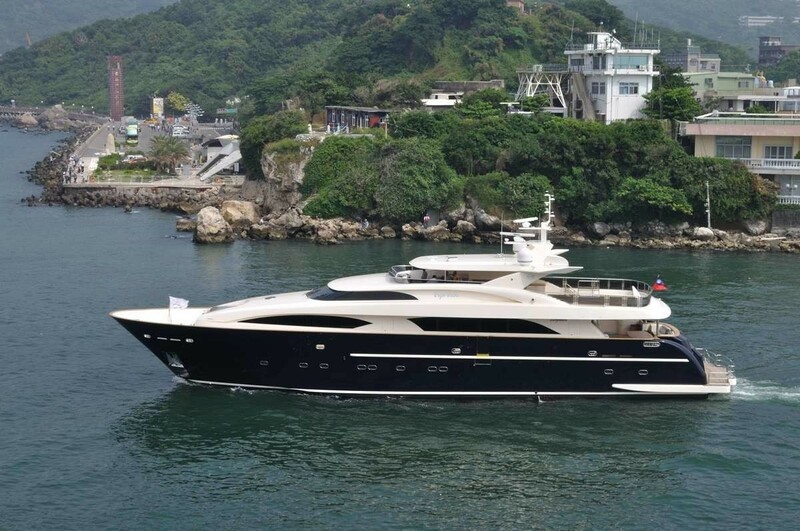 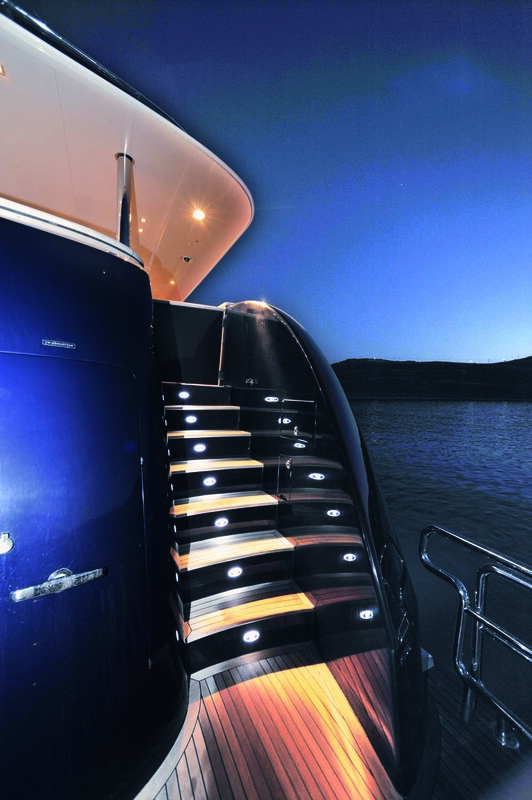 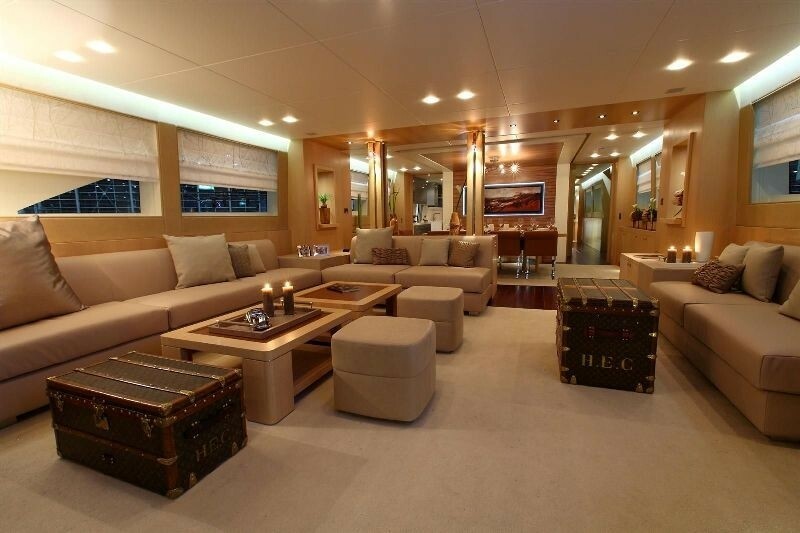 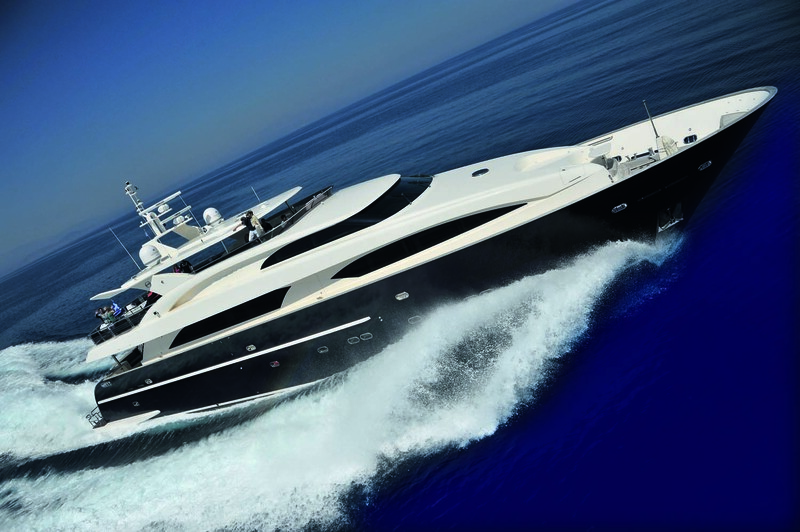 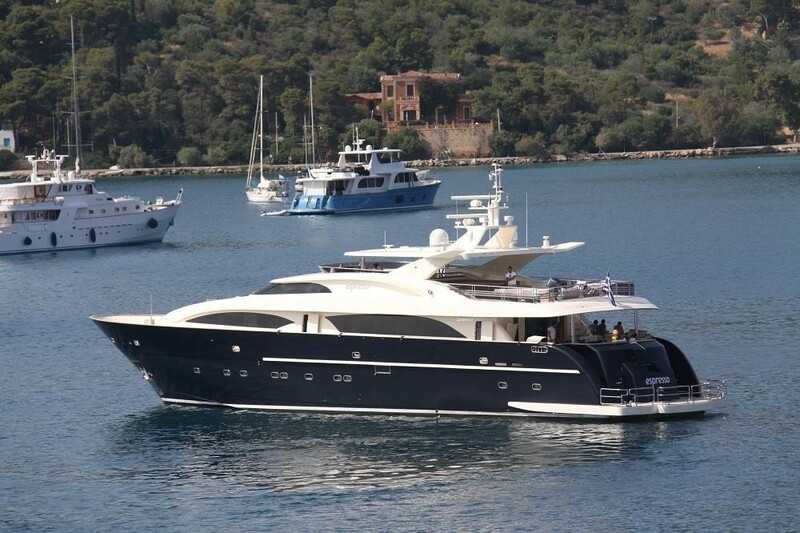 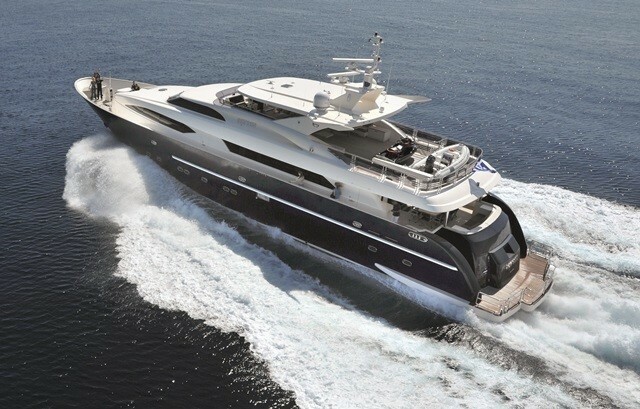 Motor yacht Espresso is a 36m (122ft) luxury motor yacht built by Horizon yachts in 2009. 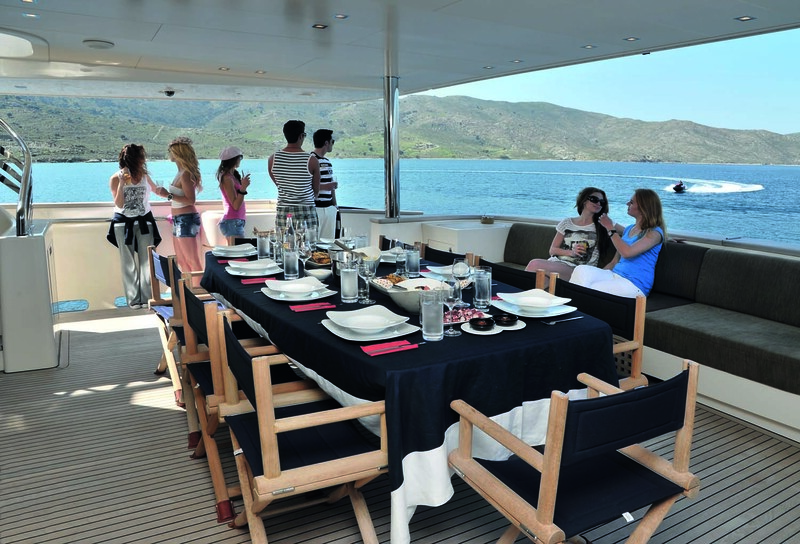 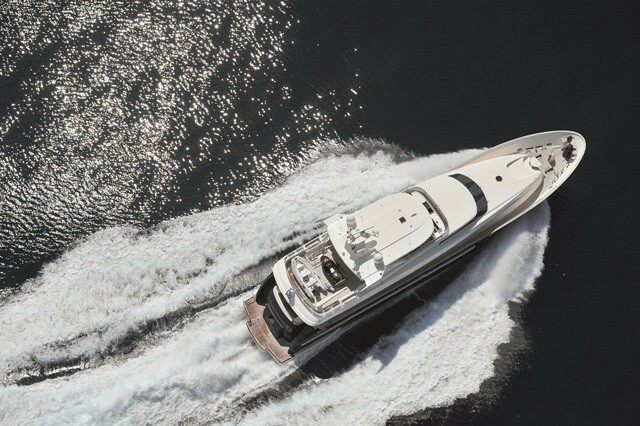 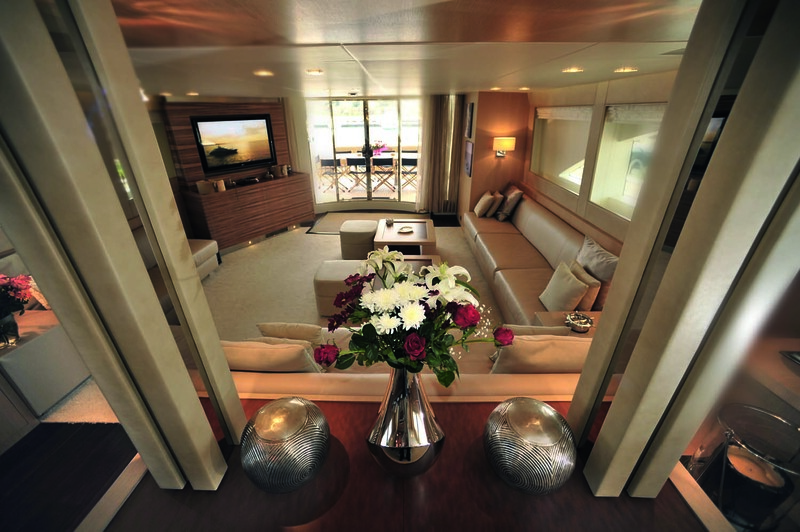 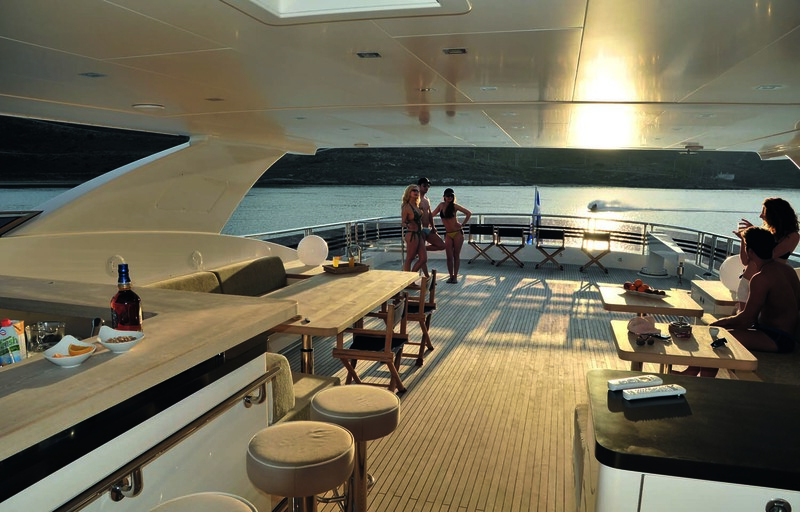 In 4 spacious cabins, Motor Yacht Espresso accommodates up to 10 charter guests where the highly professional and discrete permanent crew of 6 will cater all guest needs and offer the master level of service. 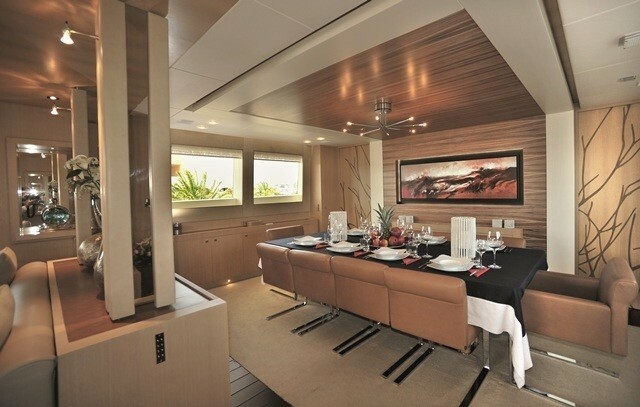 Interior is finished in whitewashed oak and Zebrano wood, accented by a sophisticated lighting plan and art by famous Dutch painter Robert Vanderplas. 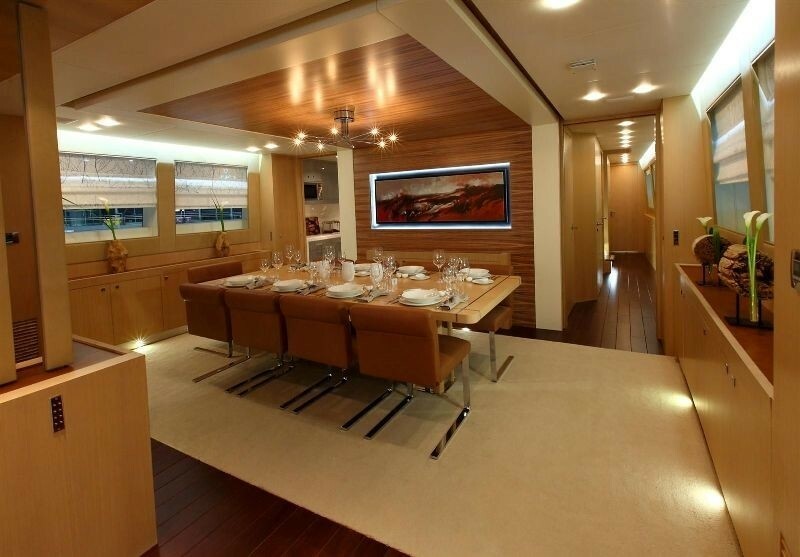 The spacious main salon opens to a dining room that seats 10 guests, and surrounding windows that let in plenty of natural light. 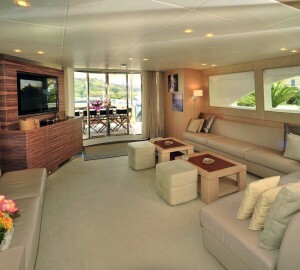 The lounge area has sofas and a 50” TV. 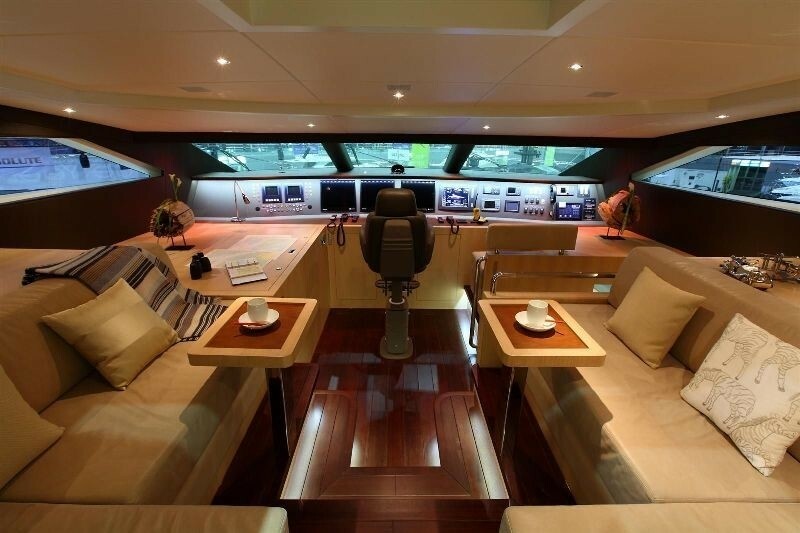 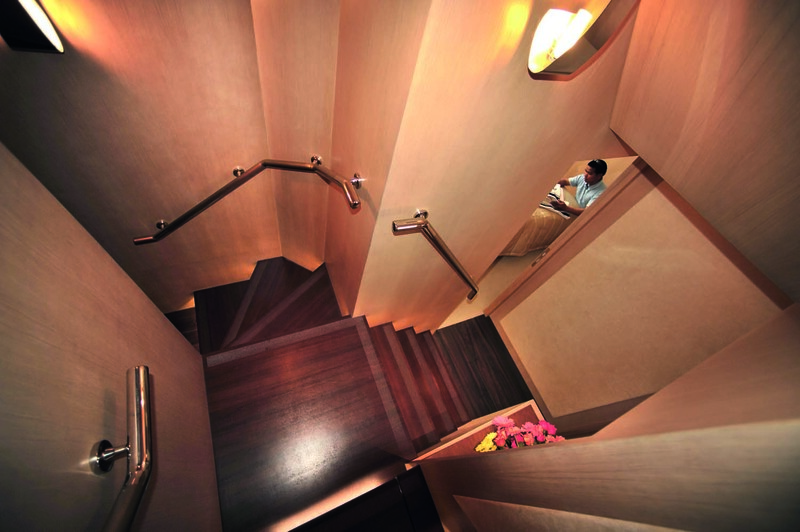 The fly bridge is an ideal entertaining space. 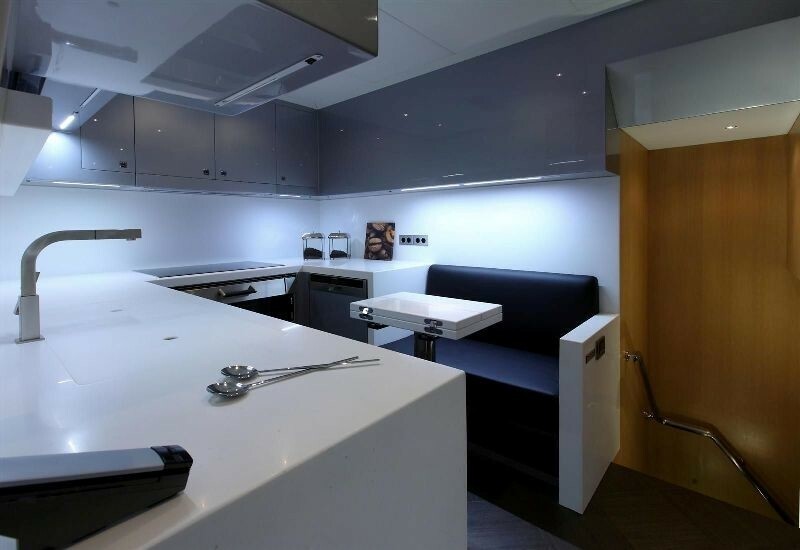 It has a full bar with stools, chairs, soft seating and a table. 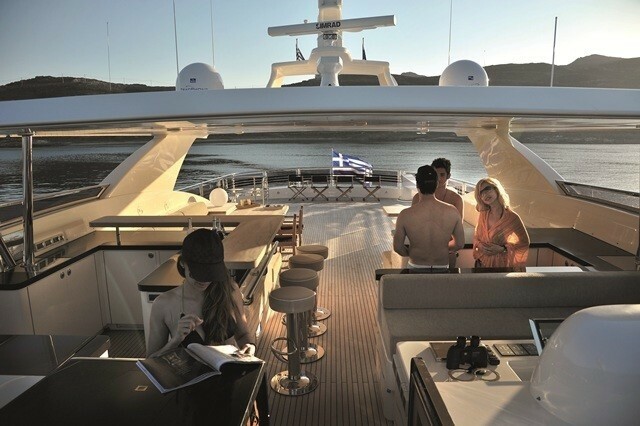 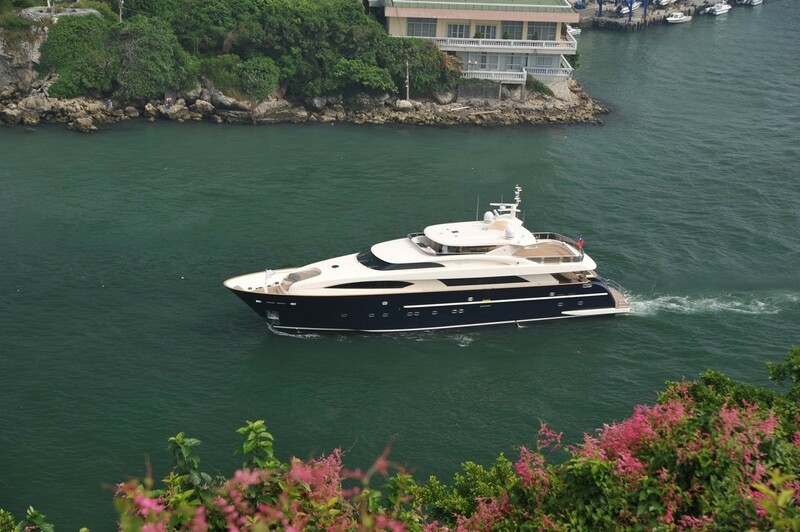 Some other features of this vessel include a swimming pool, a spacious sundeck with bar, and a comfortable sunbathing area. 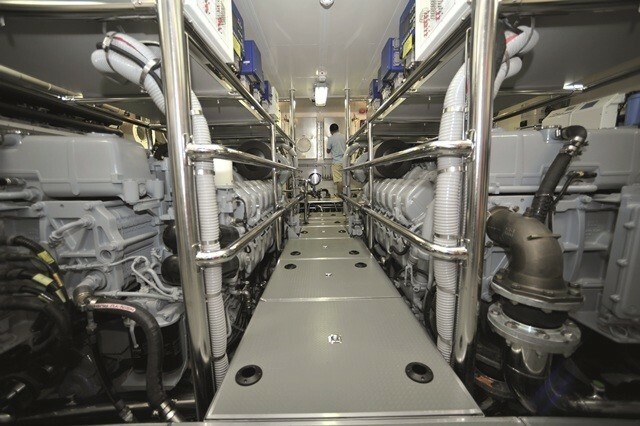 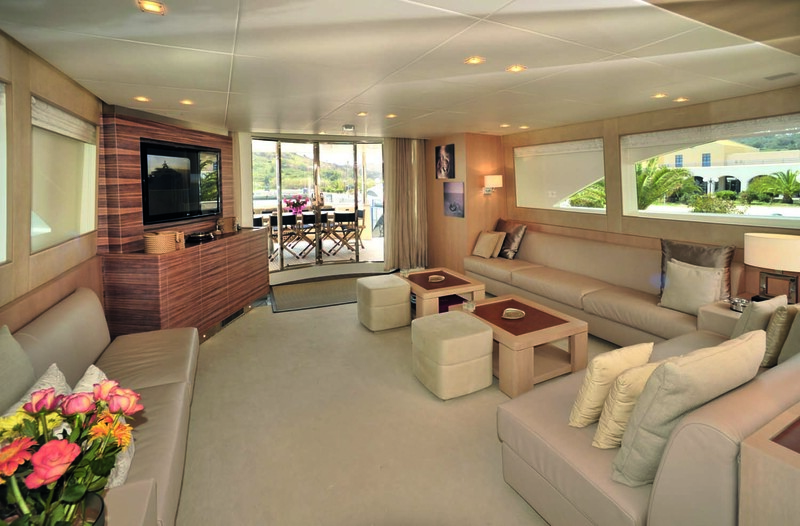 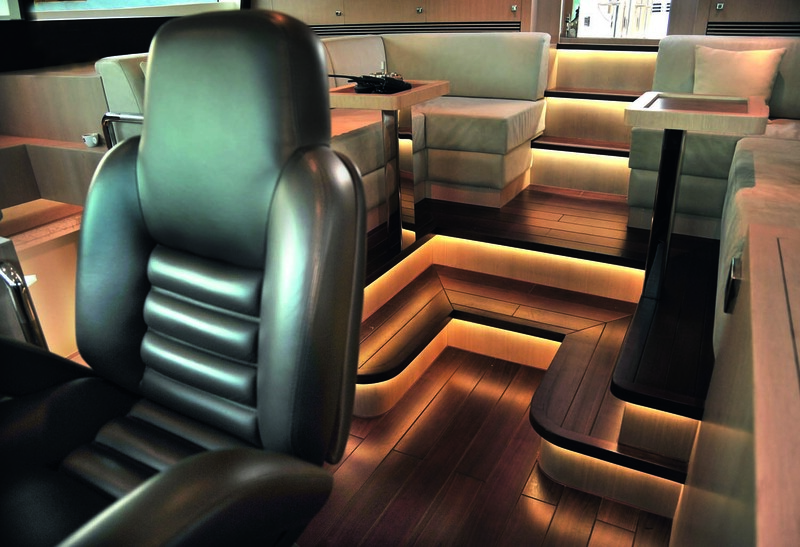 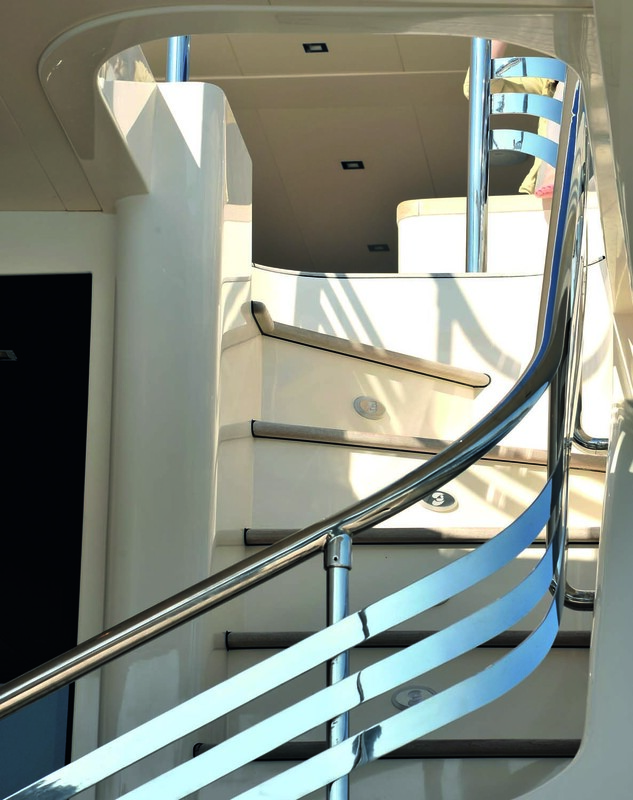 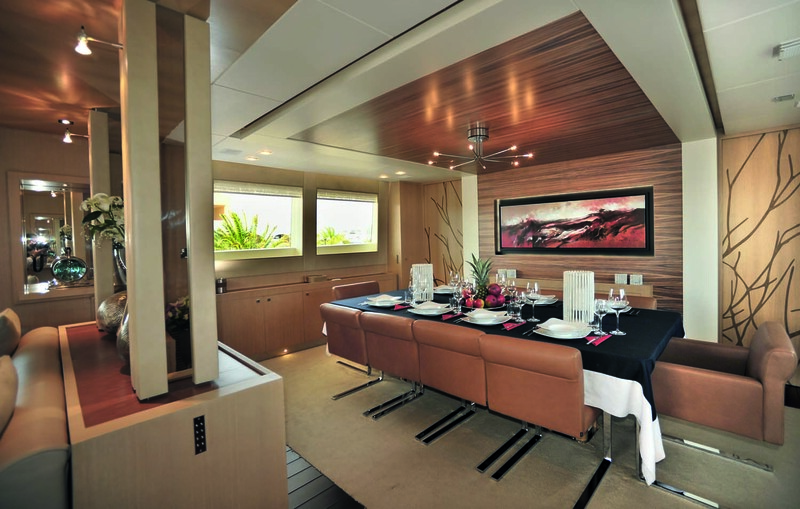 Styled by JC Espinosa and interior by Dutch based Guido de Groot Design, with 2 x MTU 16V 4000 M90 and 7.296 HP is able to reach up to 24 knots when at the meanwhile it can cruise in ECO mode at 14 knots consuming only 350 lt/hour. 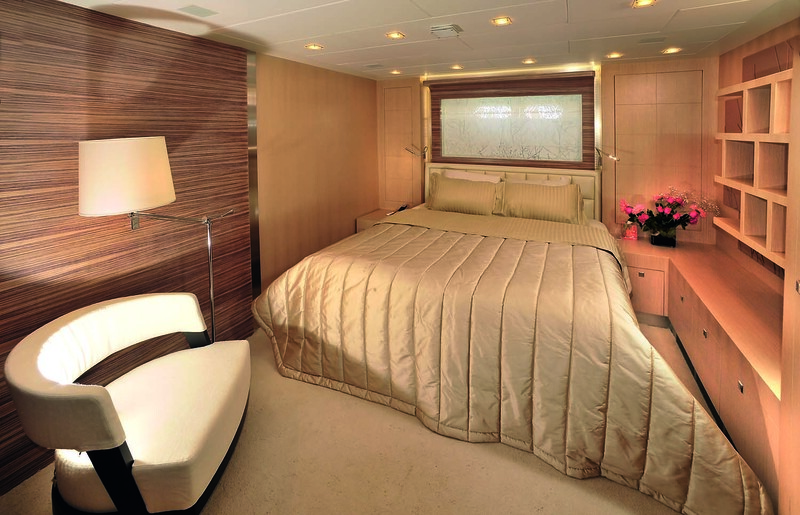 Accommodation is a split-level Master stateroom, with a sleeping area, study and elegant master bath will satisfy the most demanding guest. 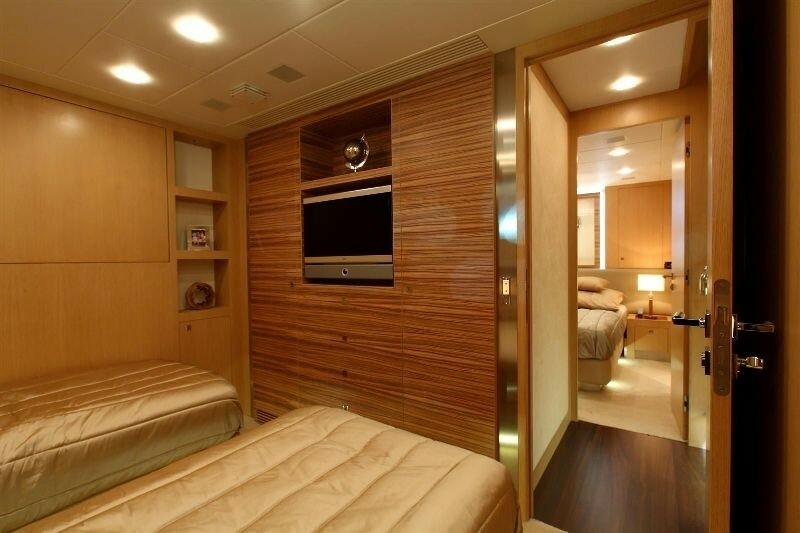 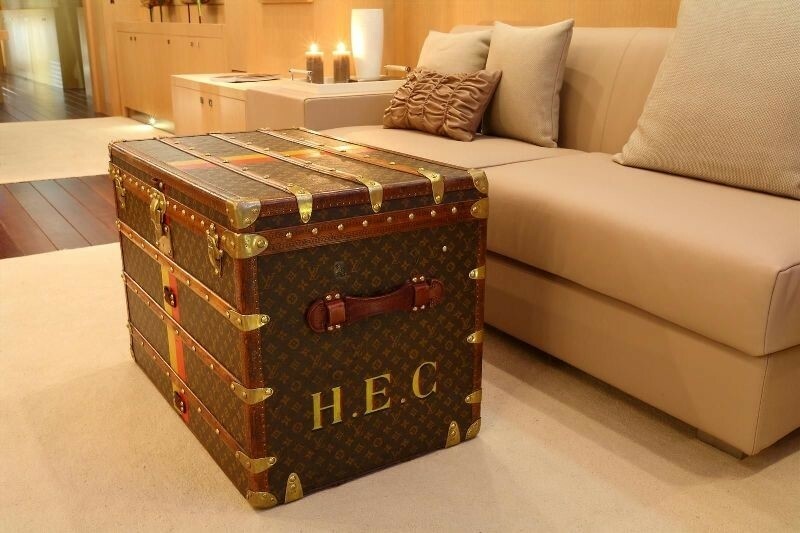 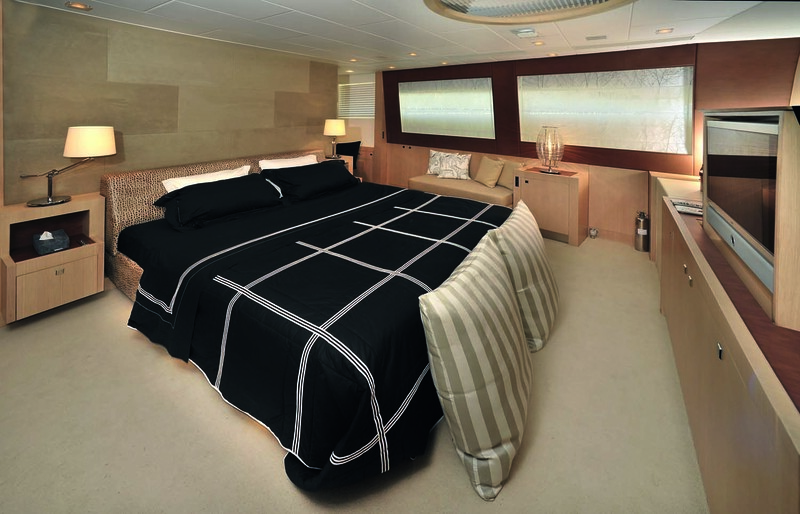 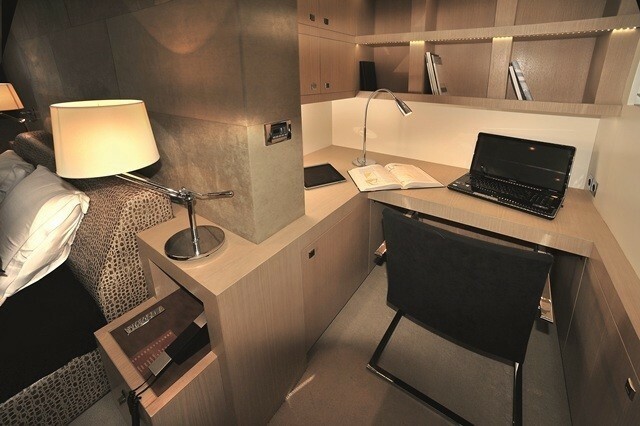 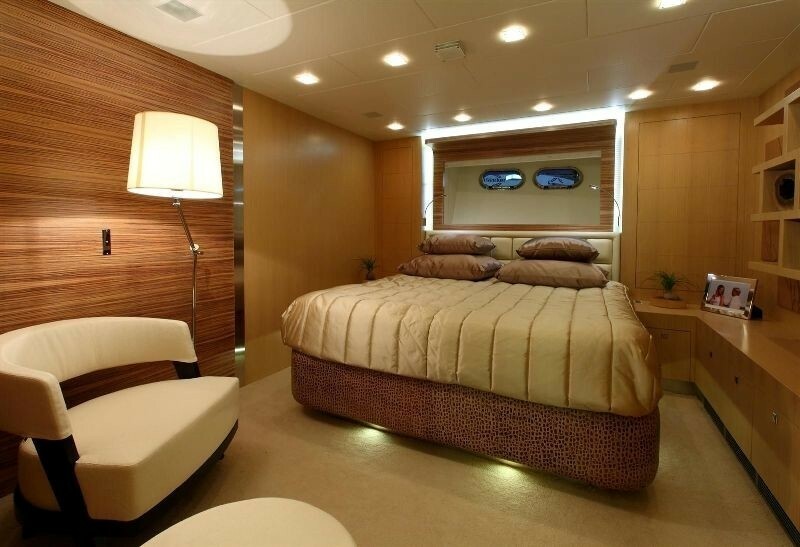 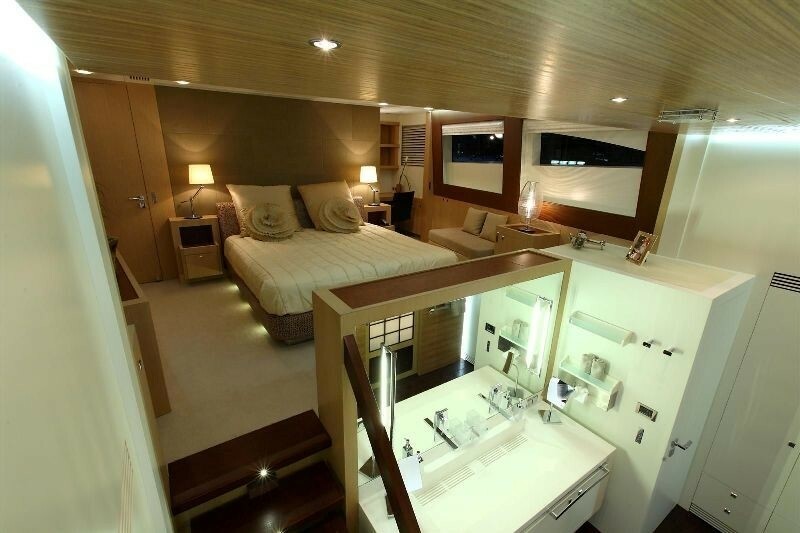 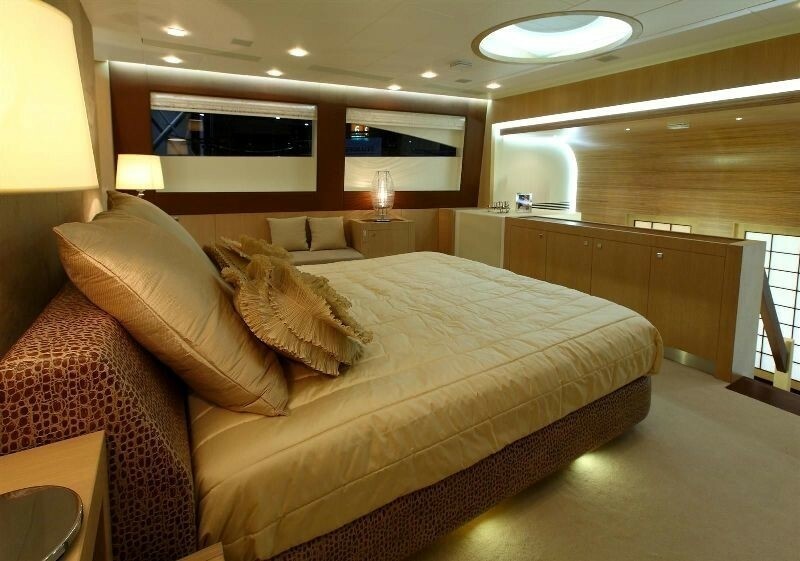 The VIP cabin has a King size bed and ensuite facilities is actually a master type. 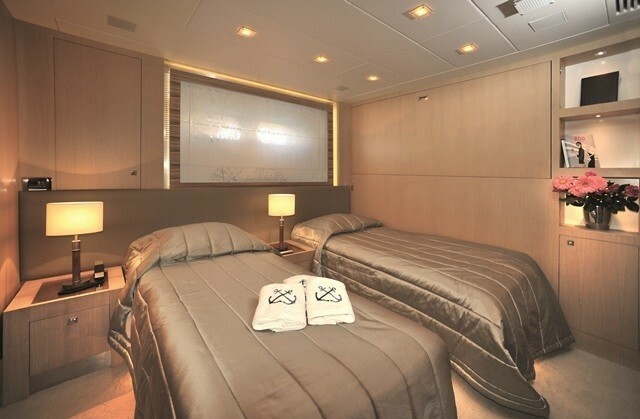 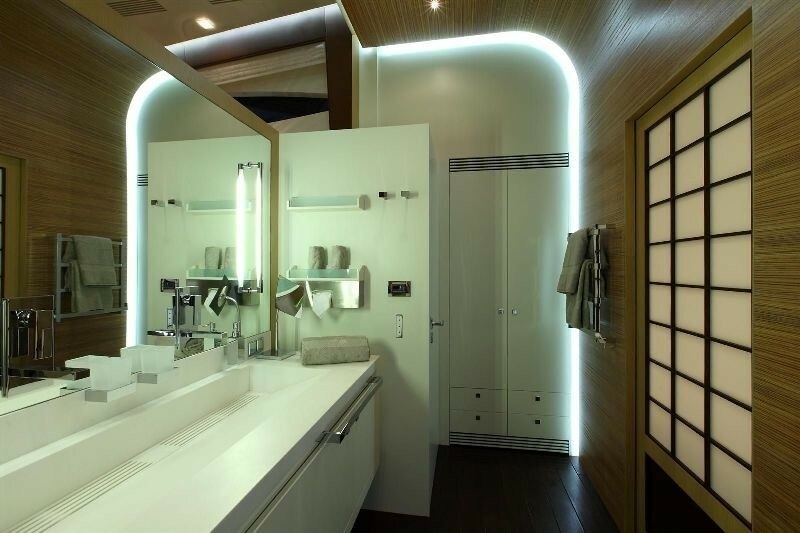 The 2 Twin Cabins, each with Single beds convertible to Doubles, pullman beds, and ensuite facilities can provide joyful and unique time for everyone on board. 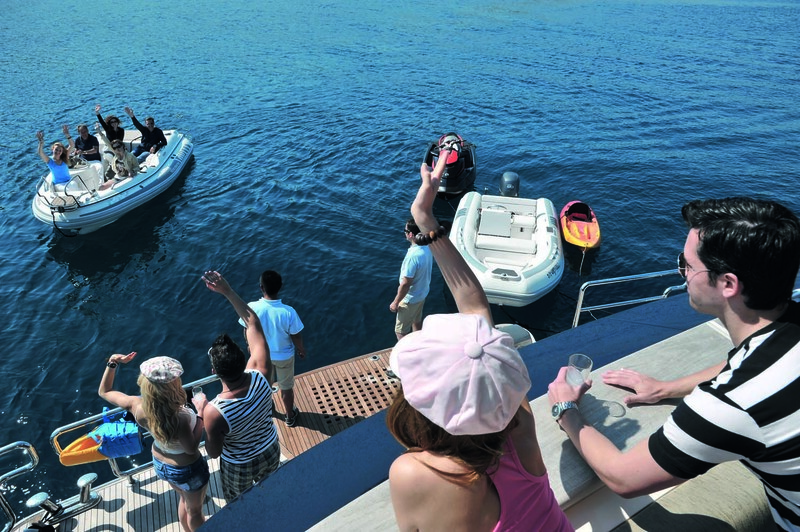 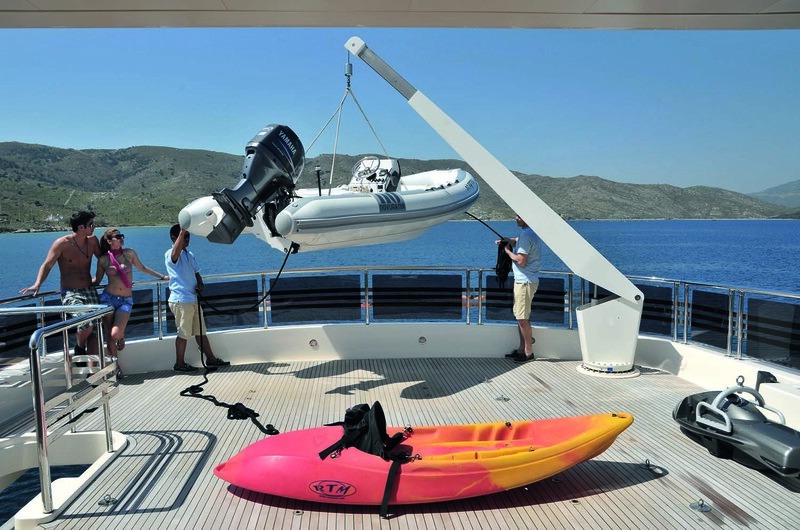 On board are available watersports & toys as the Novurania 5.60 with 190 HP Volvo Penta, Novurania 4.30 with 60HP, Yamaha Outboard, Tubes, Water skies, Wakeboard, Sea bob, Canoe, Banana, Snorkeling gear.